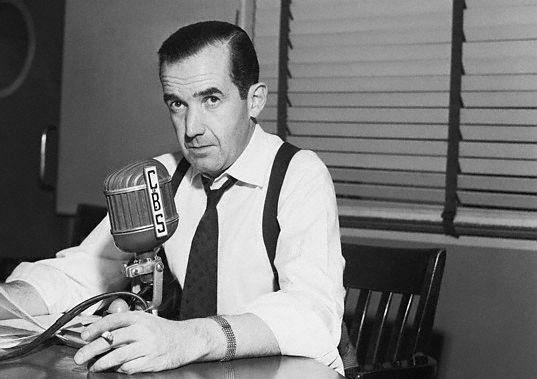 Today marks the 103rd anniversary of the birth of Edward Roscoe Murrow. 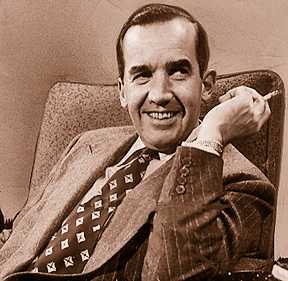 Born April 25th, 1908 in Polecat Creek near Greensboro, NC, Murrow was a man of principal, integrity, heart and courage. 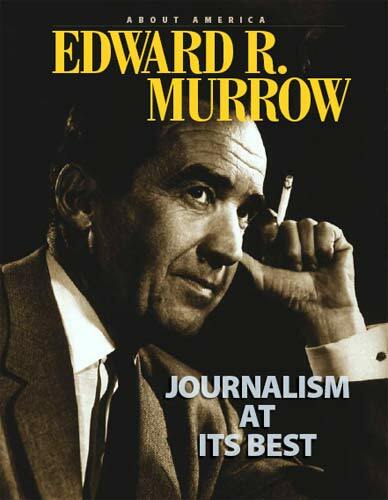 Winner of seven Emmy Awards, three Peabody’s and one Golden Globe, Murrow represented CBS, the news and the world with a cigarette in hand and a voice that resonates in every reporter today. He believed in the truth and the power of debate and was not afraid to take on even the most powerful of men. In 1954, on his TV show “See It Now”, Mr. Murrow presented a courageous piece on Senator Joseph McCarthy that is credited by many to have changed the public opinion of this very controversial politician. Without regard for his career and safety, Edward R. Murrow believed that the American people deserved the truth. His investigative skills and scathing ability to dig into the heart of the matter made him an international icon. Murrow was a man of purpose. As the broadcasting industry evolved from news to entertainment, Murrow stood strong enforcing to his audience the critical importance of the news and its impact on our lives. In fact he was awarded the Presidential Medal of Freedom in 1964 and on the year of his passing an honorary knighthood by the British government in 1965. He was hired by CBS in 1935 and remained a vital part of that media until until he left in 1961. His assembly of the “Murrow Boys” offered first hand detailed records of the activities overseas during World War II. His respect by the US Government led to his appointment as the Director of the US Information Agency (USIA) in 1961 when he left CBS and broadcasting. Edward R. Murrow was a pioneer in broadcast media. He set the standard for news with heart and integrity, and today, reporters around the world still reflect on the path he set and how important he was and continues to be in how we share news and ignite debate.